The University of Nicosia provides the academic curriculum, faculty and facilities for this study abroad program. Classes are taught at the University of Nicosia's main campus in Nicosia and students receive a University of Nicosia transcript upon successful completion of their coursework. The University of Nicosia is a well-known international institution and the largest university in Cyprus with over 7,000 students (including 1,000 international degree-seeking students) enrolled at three campuses in the three largest cities in Cyprus. The University of Nicosia is accredited at the bachelor's, master's and doctorate level and has particular strengths in business, international relations, engineering, computer science and some areas of the social sciences. The University of Nicosia has more than 200 faculty, over 80% of which hold the rank of assistant professor or higher. All of the classroom buildings in Nicosia were built over the last decade and match modern American facilities in terms of design, comfort and information technology. The University of Nicosia is designed on the American semester model and uses US standards for grading, contact hours and credit hours. All University of Nicosia courses, for local or international students, are taught in English. For a virtual tour of the University of Nicosia, please click here. The University of Nicosia is fully accredited at the bachelor's and master's level and approved at the doctorate level by SEKAP, the Cypriot accreditation board appointed by the Ministry of Culture and Education and the Council of Ministries. The University of Nicosia has campuses in the three major cities in Cyprus. Its facilities include 71 classrooms, 13 amphitheaters, 5 conference rooms, 25 computer labs and several other specialized labs servicing the needs of its design, communication, TV and radio, music, language, engineering, culinary arts, hotel management, life and health sciences, psychology and education programs. The Nicosia campus where GLS students are based, consists of eight buildings totaling 300,000 square feet and includes a 70,000 volume library. It is located in a high-end residential neighborhood in Nicosia. The campus is also equipped with a restaurant, 2 cafeterias, an open-air amphitheater, a bookstore, a copy-center, a movie-theater and a games room that is open daily and is free of charge for all students. The cafeteria and Training Restaurant offer meals, drinks, snacks and recreational facilities and are also a congenial place for students to meet between and after classes. The University of Nicosia's movie theatre, Cine Studio, is one of the best theaters in Nicosia, with comfortable seats and a state of the art film projector and stereo system. It shows art-house films for students and staff and is also open to the public at large. The University of Nicosia has a distributed LAN-based computing environment and WiFi service is available in many parts of the Nicosia campus. Computer labs also are available for student use. 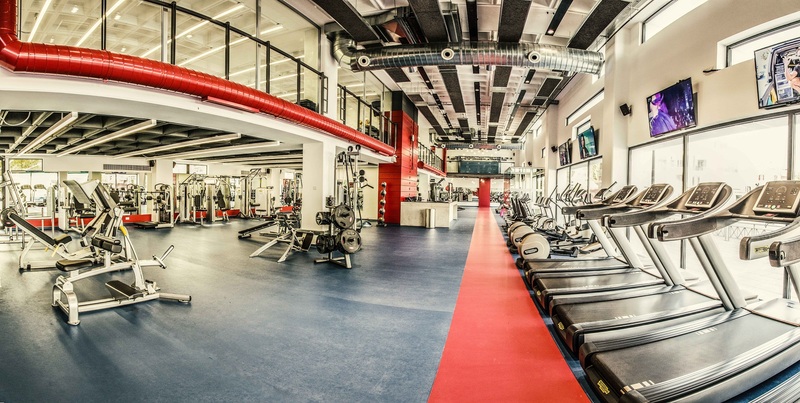 UFit - the University of Nicosia’s new Fitness Centre - is open to students, alumni, faculty and staff.